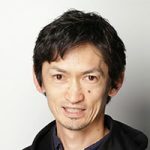 Hiroshi Koiwai has been active mainly on Cloud infrastructure technology for several years and leads an organization for Agile and DevOps technical development & promotion. His main focus areas are digital enterprise IT, DevOps adoption, Automated cloud native development life cycle and Agile culture adoption. Currently he is spreading his knowledge in various areas related to enterprise digital services as a DASA Ambassador in Japan.